This reading group guide for Knocking on Heaven’s Door includes questions to enhance your discussion of the book as literature, as well as suggestions that may help you open difficult conversations with friends and relatives who are near the end of life. 1. Where do you draw the line between saving a life and prolonging a dying? Has your family included a member who “lived too long”? Do you think it is okay to “let nature take its course”? How do you distinguish that from suicide? 2. How did you feel about Valerie Butler’s choice? Was it brave, or not? Do you think it caused her children more or less suffering than her husband’s death? What were the blessings and drawbacks of her unexpectedly rapid death? What were the advantages and disadvantages of her husband’s protracted death, from the point of view of his survivors? 3. Butler writes, “I don’t like describing what the thousand shocks of late old age were doing to my father—and indirectly to my mother—without telling you first that my parents loved each other and I loved them” (p. 2). In this passage she drops her journalistic point of view and turns directly to the reader, using the word “love.” Discuss Butler’s relationship to each of her parents and their relationship with each other. How does each change throughout her father, Jeff’s, illness? Is there redemption? Reconciliation? 4. Dr. Sherwin B. Nuland said of Knocking on Heaven’s Door, “Katy Butler’s astute intellect has probed deeply and seen into the many troubling aspects of our nation’s inability to deal with the reality of dying in the twenty-first century. . . . This elegiac volume is required reading for every American adult; it has about it a sense of the universal.” What do you think makes Knocking on Heaven’s Door feel universal? What aspects of the “reality of dying in the twenty-first century” surprised you? 5. When Katy’s mother, Valerie, asks for Katy’s help getting Jeff’s pacemaker turned off, Katy says, “I felt like my father’s executioner, and that I had no choice” (p. 5). How do you explain this sentiment? Why does Katy agree to help her mother? What resistance do they run into when trying to get his pacemaker turned off? 6. What is palliative care, and how does it differ from hospice care? When Jeff is able to get into a palliative care program, what is the effect on the Butler family? 7. Jeffrey Butler’s “stroke devastated two lives” (p. 31). How? What are the burdens that are placed on Valerie as caregiver? Valerie attends a caregiver support group only once, saying that she cannot spare the time. Do you think that’s the real reason that she decides not to return? 8. If Jeff had lived before the pacemaker existed, Butler notes that “nobody would have called his heart diseased—just worn out” (p. 57). How did the invention of the pacemaker affect modern medicine? How else did medicine change following World War II? 9. When Katy visits her father in the hospital following his stroke, she recounts watching an orderly shave him, saying “he paid close attention to what he was doing and invested the moment, the room, with a presence I can only call sacred” (p. 21). Why is this moment so profound for Katy? Why do you think the orderly’s actions teach her how to love her “helpless, broken, and infinitely slowly dying father” (p. 21)? 10. What were your initial impressions of Valerie? What did you think of her decision to refuse treatment when facing her own illness? How did your view of Valerie change during the course of the book? Did she show courage when she refused open-heart surgery? Should we redefine courage at the end of life to mean allowing a peaceful passing rather than fighting an endless battle against cancer, for example? 11. How did Valerie’s relationship with her daughter evolve? Do you think this constitutes “redemption,” despite the partial nature of their reconciliation? Katy frames this as a common intergenerational conflict; is it true to your own life? 12. In Knocking on Heaven’s Door, Katy Butler describes the “Slow Medicine” movement. What is it? Discuss the ways that Slow Medicine differs from “Fast Medicine.” Why do you think Slow Medicine has gained in popularity? 13. Does technological medicine’s aim for maximum longevity have some benefits? For example, do you have relatives who have benefitted from late-life surgeries? What has been your family’s experience, good and bad? 14. Of her actions during Jeff’s illness, Butler says, “maybe the best thing I did was write my father love letters” (p. 93). One of the themes of the book is the balance between trying to “fix” things and accepting the unfixable with love and grace. Katy spends a lot of time trying to fix things for her parents. Do you think she comes to any self-awareness about the limits of fixing or the value of unconditional love? 15. Butler writes, “Love can look heartless” (p. 211). What decisions do she and Valerie make regarding Jeff’s end-of-life care that could be construed as “heartless” to someone on the outside? Why do they make those decisions? Katy says, “I wanted him to die because I loved him” (p. 195). What do you make of this? 1. Butler chose to include Makeda, Queen of Sheba, translated by Jane Hirshfield, as an epigraph in Knocking on Heaven’s Door. Discuss the poem as it relates to your life. Was there a time that you “dived into the great sea” and came up with a pearl of wisdom? Was it worth the pain? 2. To learn more about Katy Butler, read reviews of Knocking on Heaven’s Door, and find out when she’ll be appearing in a city near you; or, to arrange a speaking engagement, visit her official website at KatyButler.com. 3. Valerie and Katy made the difficult decision to turn off Jeff’s pacemaker. Was there a time you went with your gut when experts were telling you otherwise? How did you know you were doing the right thing? Or did you only know later? Share your story with your book club if you feel comfortable doing so. 4. Can or should we redefine the meaning of hope at the end of life? When hope of extending life (with good quality) is no longer wise, are there other sorts of honest, meaningful hopes for friends and relatives? What kinds of family healing have you seen when it was known that death was imminent or wished for? 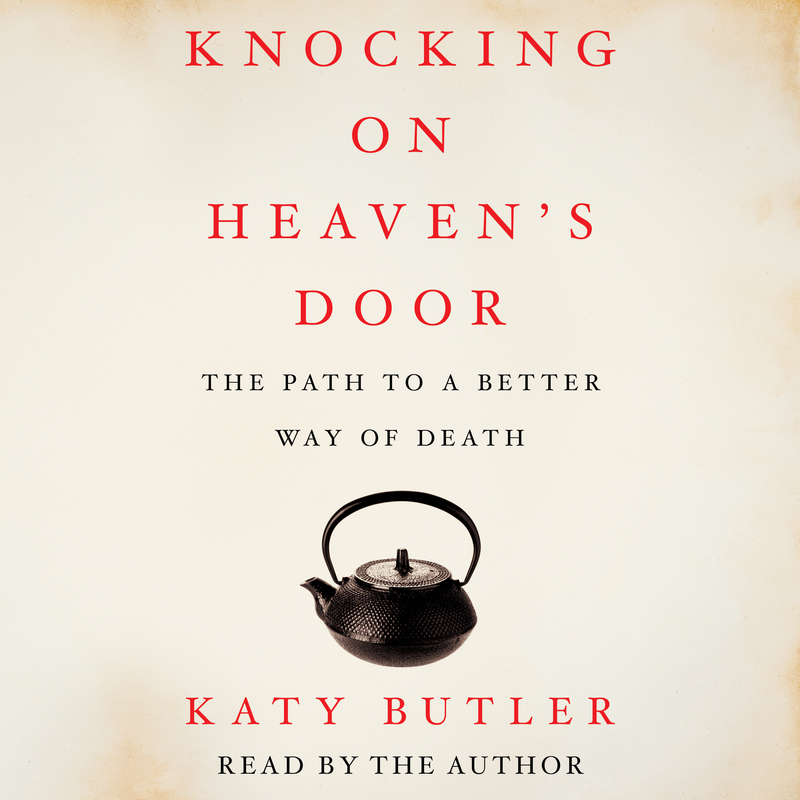 In Knocking on Heaven’s Door, Katy Butler writes that now, more than ever, we are confronted with questions whose answers “will shape when and how someone we love meets death. . . . We are in a labyrinth without a map” (p. 7). The questions posed below are designed to help you find your way through the labyrinth of modern health care. These are not easy conversations to have, but getting some answers will give you a clearer mind and heart for facing the hardest decisions you will ever have to make. How can you empower your doctor to have an honest conversation with you rather than avoiding the issue, giving treatments that won’t work, or offering dishonest hope? • Butler cites Francesco Fiorista, a practitioner of Slow Medicine, as saying “To do more is not necessarily to do better” (p. 59). Keep this statement in mind when speaking to doctors about the proposed course of treatment for your friend or relative. Ask about the pros and cons and any alternatives to suggested treatments and tests. • Before agreeing to a test, ask: Will the results change future treatment? Is this appointment necessary? • What about doing nothing? It is often taken as a given that one’s decision is not of how but when to treat. Ask first whether treatment is necessary. What are the goals of the treatment? How will the quality of the patient’s life be affected? Can you watch and wait? Provide comfort care only? • Ask: What is the typical trajectory of the diagnosis? What can you expect next? Is palliative care an option? Can your friend die at home? • On page 277, Katy lists the stages of the last chapter of life: fragility, decline, disability, failing health, and active dying. Ask your doctor where your friend or relative is on this path. Have they reached the point where they are likely to return from each hospital stay worse rather than better? 1. Recovery time, and whether home assistance or rehab will be required. 2. Risks to cognitive functioning. Get a cognitive assessment before any open-heart surgery or general anesthesia. 3. Level of function after recovery. “Some of the most important and least glamorous help” Butler’s family got was in “odd-shaped . . . unpaid interstices within the health care system” (p. 38). • Ask the hospital staff what resources are available to you as a caregiver and to your friend or relative as a patient. These resources might include social workers, patient advocates, a palliative care team, a bioethics consultant, or the hospital chaplain. • Nurses often see things that doctors don’t because they spend more time with patients each day. Ask their advice. What do they think is going on? Is death near? “You may not be able to fix your parents’ suffering or make them whole, but you can heal your relationships and help prepare everyone for death” (p. 276). • Butler’s brother tells her “I’ve seen it over and over. . . . Everyone jumps on an airplane, they go to the emergency room, and they stand there together. . . . They do it out of guilt, they become a burden, and they accomplish nothing” (p. 16). Schedule a phone conference. List duties and delegate them. Hands-on caregivers are the decision makers. If you live far apart, how can you offer support from a distance? • Are you aware of your relative’s final wishes? Speak with each other about those wishes, to ensure that all are of the same understanding. Are you able to execute those wishes? 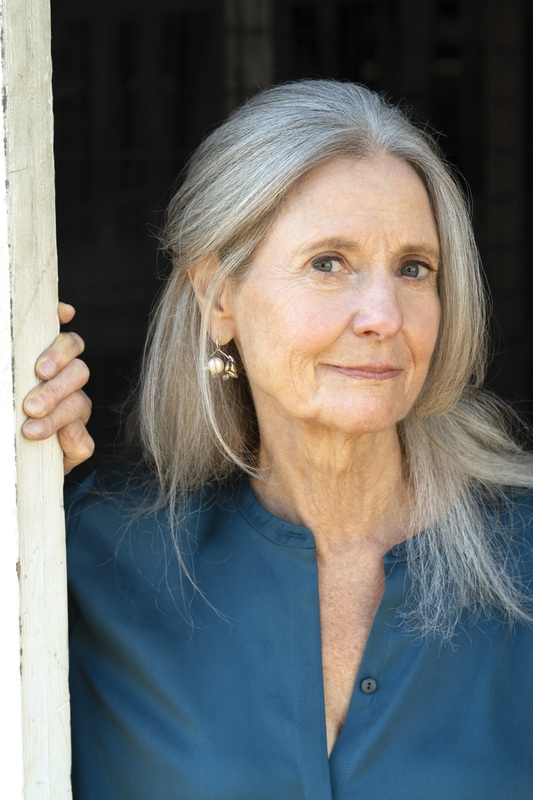 • In On Death and Dying, Elizabeth Kübler-Ross writes that “the family’s needs will change from the onset of the illness and continue in many forms until long after the death has occurred” (On Death and Dying, p. 167). What are your needs at the present moment? Do you have concerns that you can share with each other? • Ask: Have you chosen someone to make medical decisions when you can’t? Do you feel that person has a clear understanding of what you want? • Butler writes, “The work of death does not start on the day that someone says to you, ‘Your mother is dying.’ No one may ever say this. There may always be another treatment” (p. 276). To this end, it is important to have conversations about the person’s wishes as early as possible. Ask your friend: Do you want to die? What makes life worth living for you? Would you rather die than live in a nursing home? • Is your loved one ready to have a conversation about their vision of a Good Death? What kind of measures do they want taken on their behalf? And how do they wish to be commemorated? • In her final days, Valerie Butler asks for time alone with one of her sons. Your friend may want to do the same. Ask how and with whom they want to have visits. Note: This is a partial list. Please see the Resources section beginning on page 286 of Knocking on Heaven’s Door for additional literature and information. For more tips on how to start a conversation about last-chapter-of-life medical choices, visit TheConversationProject.org and Deathwise.org. When Did Modern Medicine Become a Curse Instead of a Blessing?